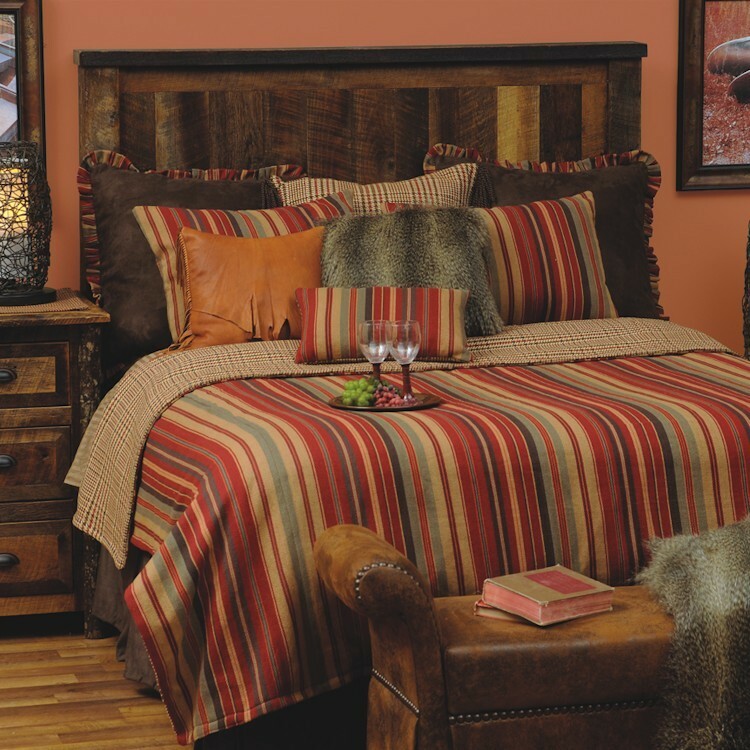 Rich shades of sun drenched hues of red, orange and brown with tan and olive green create a western look for your bedroom with the Bandera Western Bedding Collection. The reversible coverlet boasts a bold stripe on one side and a gentleman's plaid on the other. The pillow shams are also reversible and combine the same stripe as the coverlet with a small scale check that is accented with chocolate suede corners. 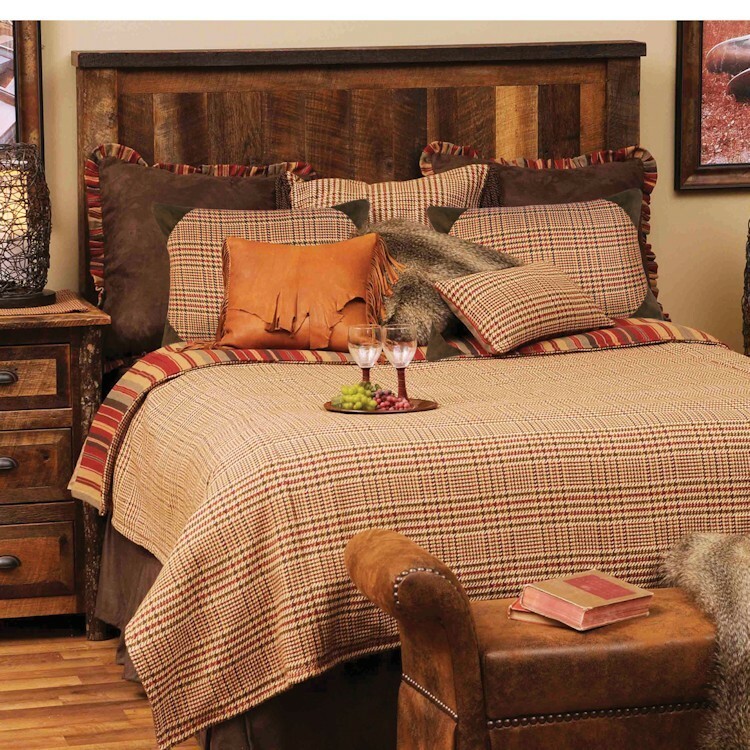 Rich shades of sun drenched hues of red, orange and brown with tan and olive green create a western look for your bedroom with the Bandera Western Bedding Collection. The basic set with it's reversible coverlet, boasts a bold stripe on one side and a gentleman's plaid on the other. 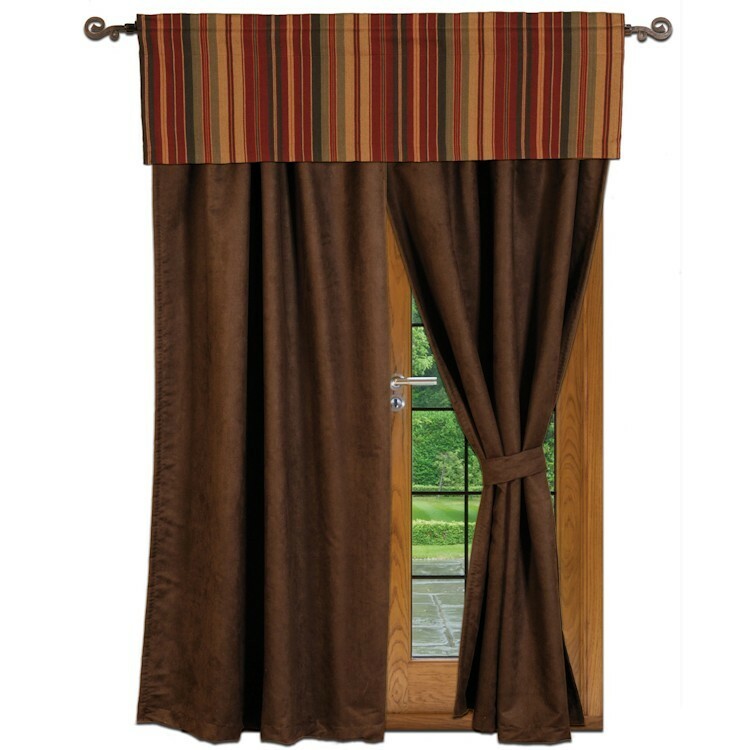 The pillow shams are also reversible and combine the same stripe as the coverlet with a small scale check that is accented with chocolate suede corners and a tailored chocolate faux suede bedskirt rounds out the basic set. 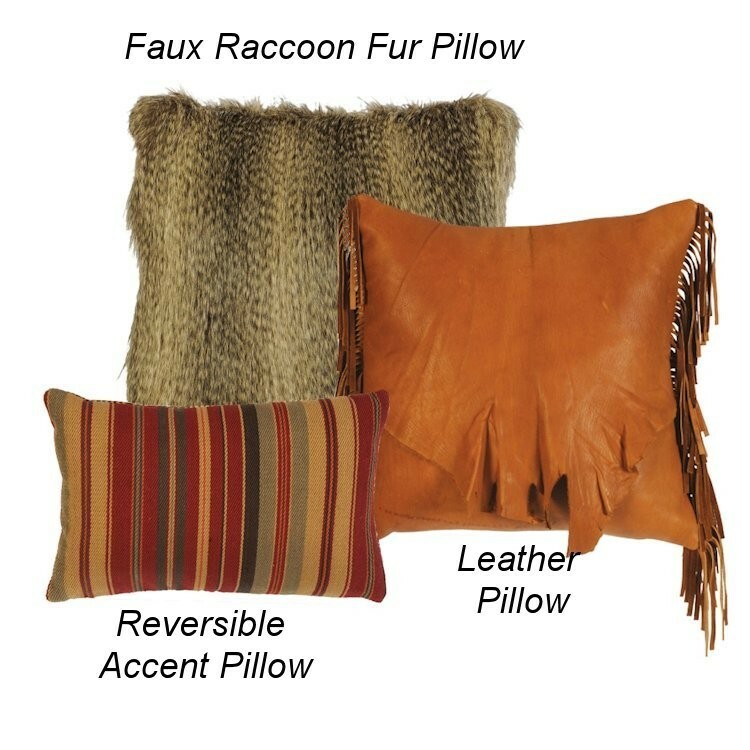 The Deluxe sets also include a chocolate suede tailored bed skirt and three euro shams (two faux leather with a striped ruffle and one plaid with dark brown fringe) to round out this western ranch bedding ensemble.